The Edmund J. Safra Synagogue on Manhattan 's East Side was the setting for the 68th annual yahrzeit memorial for the legendary Revisionist Zionist leader, Ze'ev ( Vladimir ) Jabotinsky, held Sunday afternoon, September 14th. Sponsored by Americans for a Safe Israel and the Nordau Circle , over 400 people, including many former members of Betar, the Zionist youth movement founded by Jabotinsky, gathered to pay tribute to one of the most outstanding pioneers and visionaries of the Zionist movement. Born in 1880 to a liberal Jewish family in Odessa , Ze'ev Jabotinsky left home at 18 to study journalism in Switzerland and then law in Italy . Though he was soon recognized as a brilliant journalist and a prolific poet and writer, the bloody Kishinev pogrom of 1903 spurred Jabotinsky to focus his energies on his people and the nascent Zionist dream of re-establishing a Jewish State in the land of Israel. Jabotinsky successfully campaigned to assemble the first Jewish fighting force in Israel in over 2,000 years, and in 1917, the Jewish Legion was created to defend the yishuv against increasingly murderous Arab attacks. Jabotinsky was elected as a delegate to the 6th World Zionist Congress in 1923, and, convinced that the destiny of the Jewish people lay in its youth, founded the legendary militant Zionist youth movement, Betar, also known as "Brit Trumpeldor" in honor of his friend and fellow soldier, Yosef Trumpeldor. Betarniks were taught to defend Jews and to dedicate themselves to the demands of creating a new Jewish State. During his long career, Jabotinsky was imprisoned by the British for leading Haganah forces against Arab rioters, derided as a "fascist" by his detractors because of his nationalist zeal, and ridiculed as an alarmist when he toured Europe in the early 1930s, importuning Jews to flee a continent soon to be overrun by genocidal fascists. As is often the case with ideologues and visionaries who dare to think "outside the box," Jabotinsky was only posthumously credited for his foresight, wisdom, and courage. At the Safra Synagogue, Rabbi Elie Abadie welcomed those who braved the stifling humidity to celebrate the accomplishments of a man whose sole dream was to build a Jewish State in British-controlled Mandatory Palestine. Reflecting on his youth, the rabbi recalled that his boyhood hero had been Menachem Begin, an acolyte of Jabotinsky and a leader of IZ”L (Irgun Tzva’ey Leumi, the National Military Organization), the pre-State underground military movement founded by Jabotinsky and others. The most significant thing about Begin, said Abadie, was his kinship to his mentor: “He was a faithful Jewish leader, a dedicated servant of God, and one who truly embodied the hopes and aspirations of Jabotinsky." "…Settlement can thus develop, under the protection of a force that is not dependent on the local population, behind an IRON WALL which they will be powerless to break down…A voluntary agreement is just not possible. As long as the Arabs preserve a gleam of hope that they will succeed in getting rid of us, nothing in the world can cause them to relinquish this hope, precisely because they are not a rabble but a living people. And a living people will be ready to yield on such fateful issues only when they give up all hope of getting rid of the Alien Settlers." After Zweibon left the stage, David Krakow, president of the Nordau Circle, delivered introductory remarks and a brief biographical sketch of the keynote speaker, former Israeli Foreign Minister and Defense Minister Moshe Arens, MIT graduate and president, in 1947, of Betar. The former politician then took the stage to deliver a discourse on Jabotinsky’s life, focusing on the pioneer’s response to the situation in Europe in the 30’s and 40’s. In those days, a delegation of Irgun fighters sought and received Jabotinsky’s approval for the underground struggle against the British regime. Yet when World War II broke out, the movement was divided ideologically on whether it should continue attacks against the British, who, after all, made up part of the Allied forces against Hitler, or call a truce. Jabotinsky favored a truce, Arens recalled, yet was greatly pained that the ranks could not be united. The final years of Jabotinsky’s life were bitter ones as he witnessed the beginning of the end for European Jewry, whose doom he had foreseen. His prophetic warnings had fallen on deaf ears, and his efforts to save his brethren, which included a plan, hatched in 1936, to evacuate the whole of Polish Jewry to Palestine , had failed. In the wake of the vast destruction of Jewish life in Europe , Jabotinsky focused his attention on surviving Jewish youth, whose coalescence into a movement he considered the apex of his work. Arens described how, subsequent to the Nazi occupation, Jabotinsky tearfully wrote to the Betarim in British mandatory Palestine , "Betar in Poland is no more." Molding a generation of young Jews into one that would create a Jewish state “meant everything in the world to Jabotinsky," said Arens, and Jabotinsky labored mightily in the struggle for illegal immigration to Palestine, arranging passage on ships for Betarim and setting them on a course of military training prior to their departure. These young soldiers would eventually fill the ranks of the Irgun; some who did not escape Europe played heroic roles in the Warsaw ghetto uprising. Arens spoke as well of the thankless work of the Irgun delegation to the U.S, led by Peter Bergson, aka Hillel Kook, who was instrumental in persuading the Roosevelt administration to create the War Refugee Board to oversee Jewish emigration from Europe. Arens waxed sentimental as he recalled the final hours of Jabotinsky's short, 59-year life, spent at Camp Betar in the Catskill Mountains . "I remember the line of Betarim in their uniforms, assembled for Misdar (inspection) and to greet Jabotinsky. He looked drawn and tired, yet we had no idea that he would suffer a massive heart attack," recalled Arens. "The tragedy of it all," Arens recalled ruefully, "is that in reality, Jabotinsky died of a broken heart." About his vision of a Jewish state, Arens said that Jabotinsky aspired to create a democratic state with a Jewish majority and believed in the principles of a free economy, free of socialist influences, which he felt had no place in Israel. He then spoke of Jabotinsky's ideological heirs, namely the Likud party which finally came to power in 1977 under the leadership of Menachem Begin, ending 29 years of Labor rule. "While there is a plague of corruption in Israeli politics today and the Olmert government is about to see its final days," said Arens, "it is ironic that Ehud Olmert once commented that the most important position he ever held was as Mefaked Betar (Betar commander) in Binyamina." 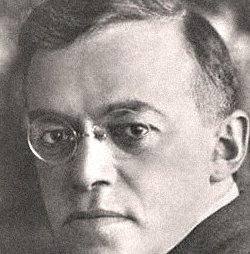 Fielding questions from the audience, Arens opined that Jabotinsky would be utterly opposed to the uprooting of Jewish settlements from disputed areas in Israel and suggested that Binyamin Netanyahu will likely rebuild the Likud majority. Arens' concluding assertions -- that the war against terrorism must be pursued without pause, that "uprooting Jewish settlements cannot be tolerated,” and that the Golan Heights is neither “for sale nor for rent” -- were met with thunderous applause.